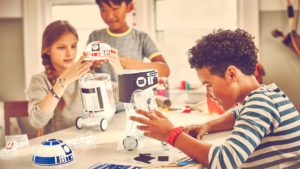 littleBits announced its Droid Inventor Kit was recognized as a hot holiday toy by The Toy Insider™, being named to its STEM 10 list of the top toys that inspire and engage kids about STEM/STEAM. Combined with creativity and problem-solving, these skills are essential to preparing the next generation for careers that haven’t even been invented yet. With invention at its core, the Droid Inventor Kit fosters creativity and problem-solving skills. 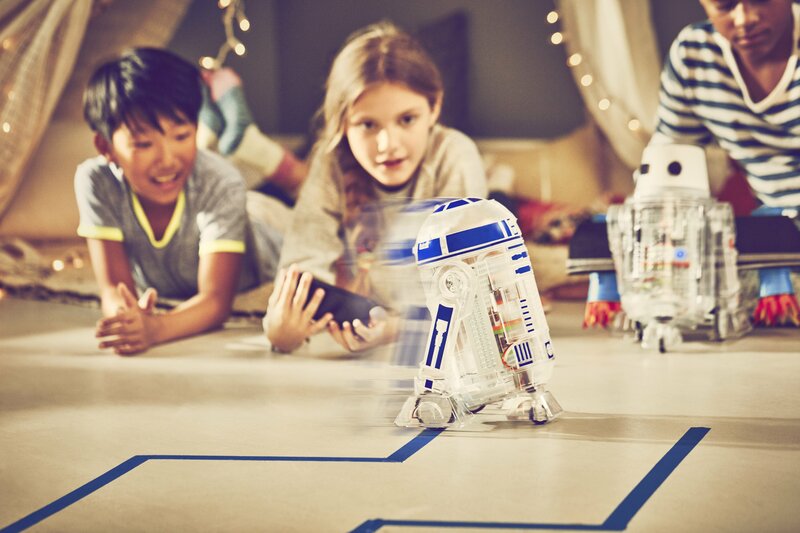 In-app challenges encourage kids to reconfigure the littleBits technology in new and unique ways, in combination with household items, so they can create their own custom Droids such as a delivery Droid, a room guardian, and more. The Droid Inventor Kit includes all the components needed for kids to create their very own Droid. A free app (iOS and Android) completes the experience, providing step-by-step instructions and how-to videos. 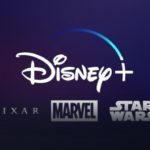 The app guides kids as they put together their Droid and control it in Drive Mode, Self-Nav, Force Mode, and more, making it the ultimate galactic sidekick. After mastering their Droid Inventor skills, kids continue on to challenges that spark creativity and inspire them to create unique new Droids. Each littleBits electronic block has a different function such as a power, motor, or sensor, which kids can use with their Droid in new and exciting ways. Included stickers and in-app missions encourage kids to customize their Droid using crafts or household objects, giving their Droid its own special personality. Kids will take pride in creating any Droid they imagine, and parents will love the endless play opportunities. 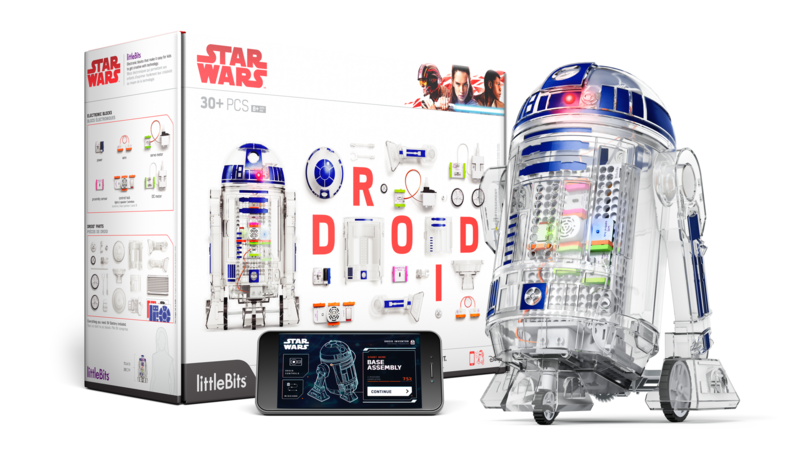 The littleBits Droid Inventor Kit is designed for children eight and up and retails for $99.95. 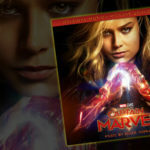 It is available at Walmart stores nationwide, Amazon, Apple Store, Disney Store, and littleBits.com. Additional information can be found at http://littleBits.cc/.